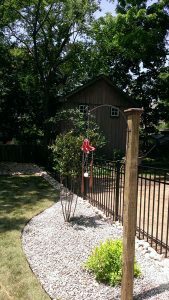 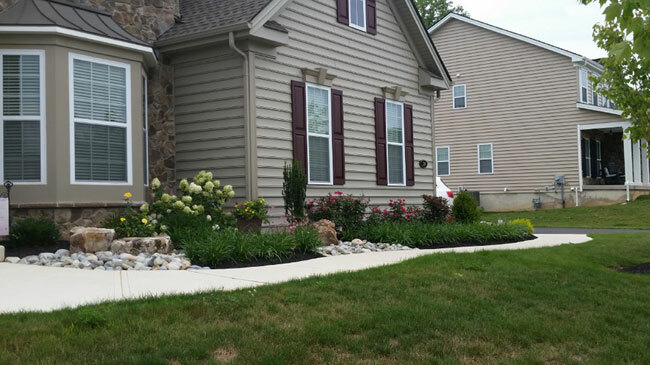 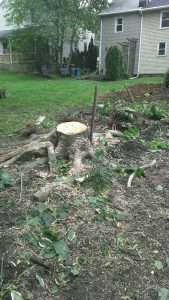 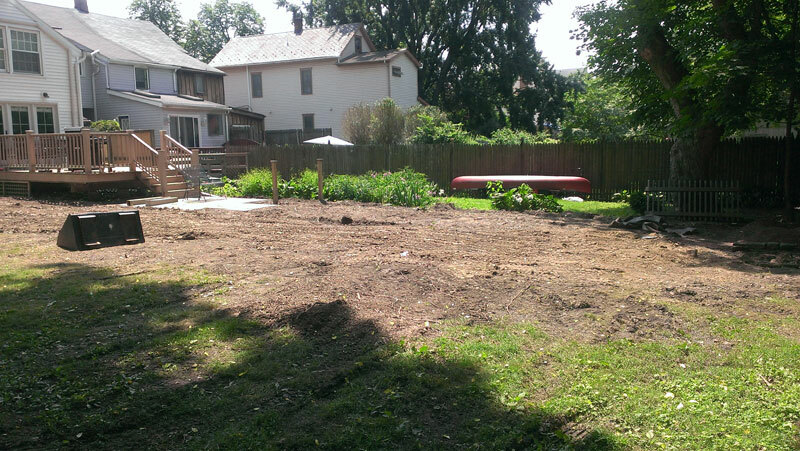 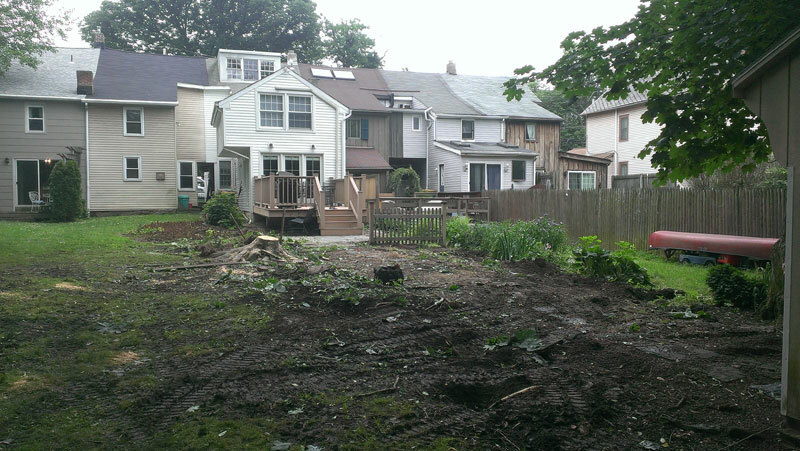 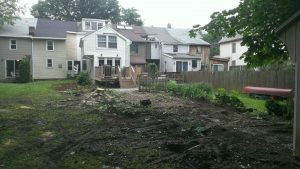 This is an example of a basic low maintenance foundation planting. 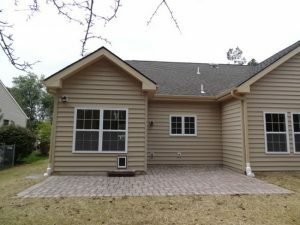 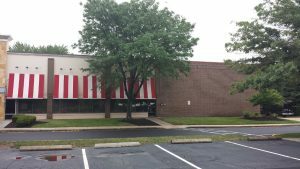 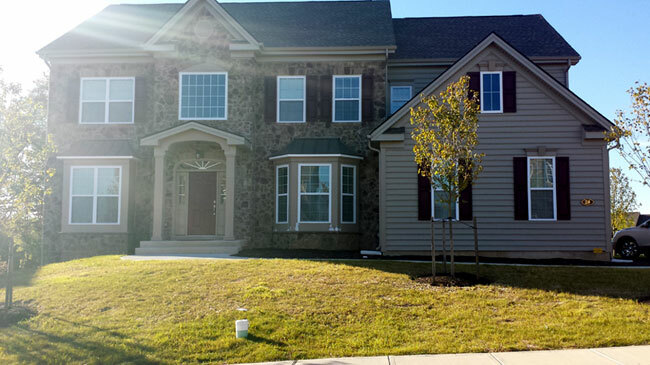 The home was newly constructed and located in Bucks county Pa. This project consisted of removing the existing dry laid stone wall along with repairing the existing Ep Henry paves and steps. 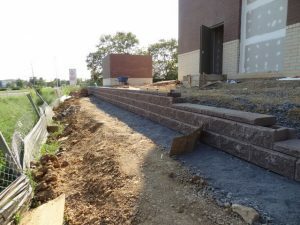 The steps were taken up and re-laid. 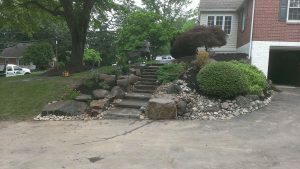 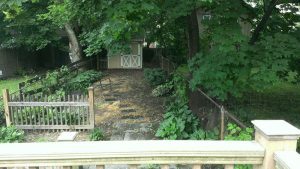 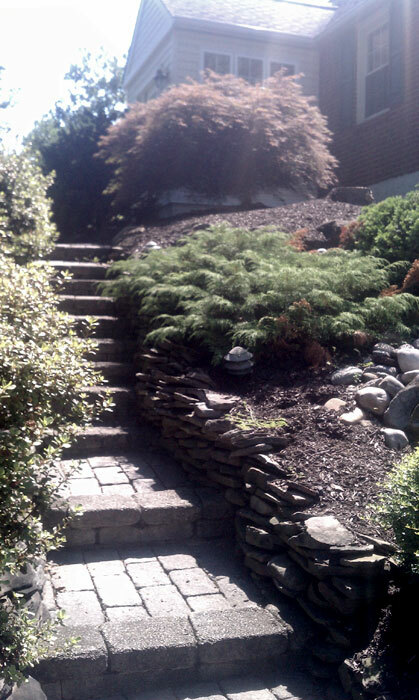 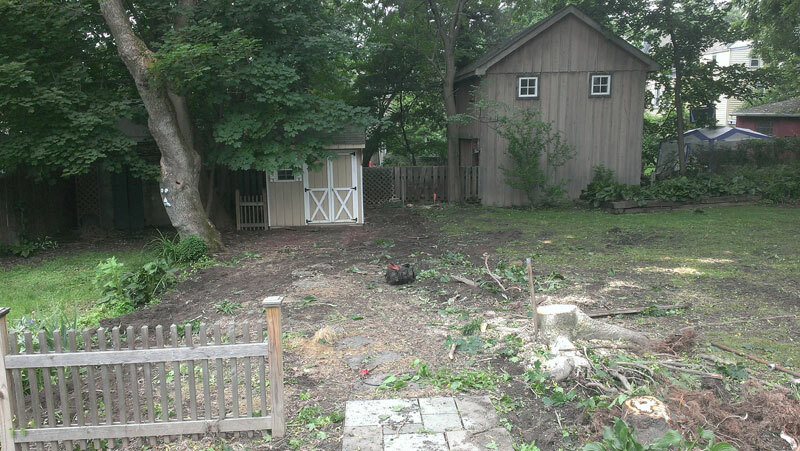 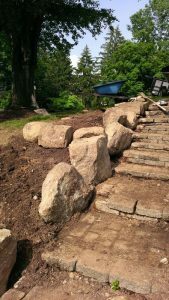 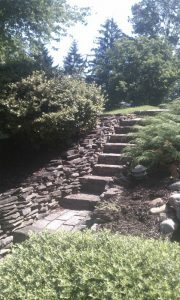 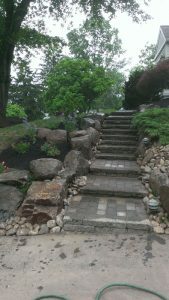 The existing wall was totally removed and new boulders were used to help retain the sides of the steps. 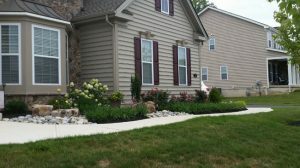 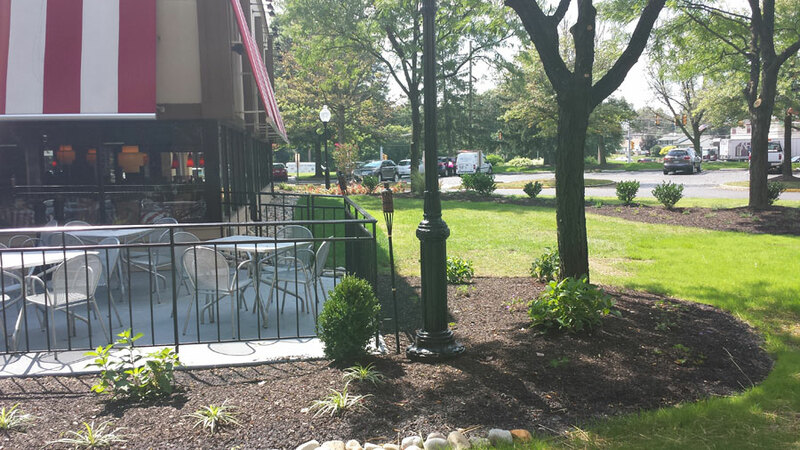 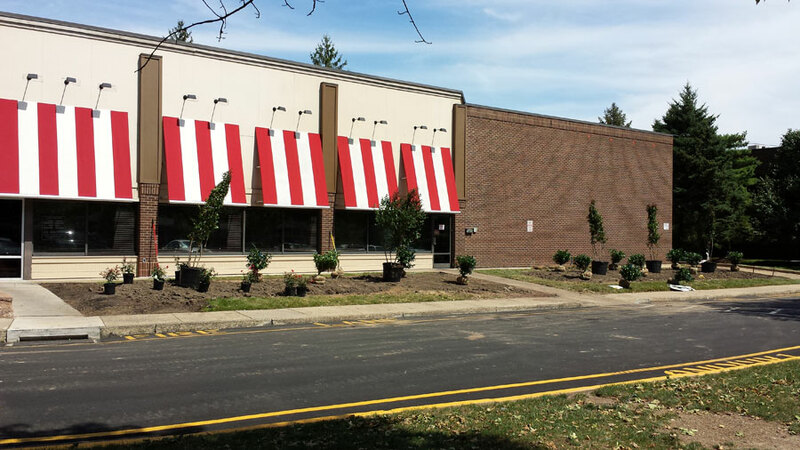 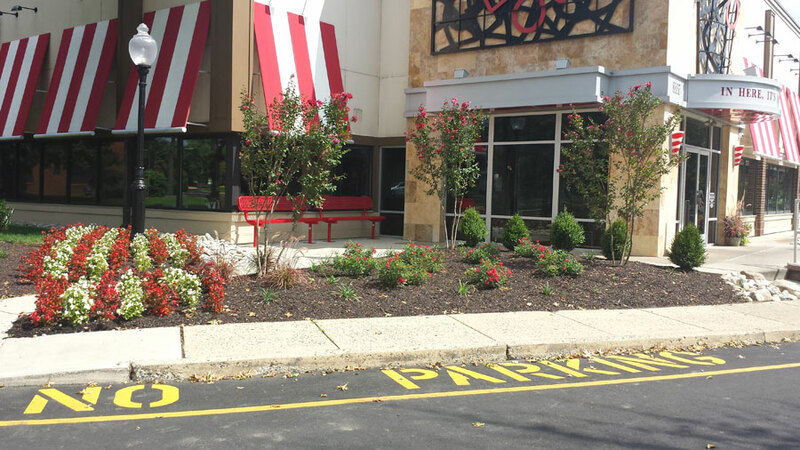 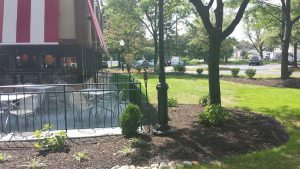 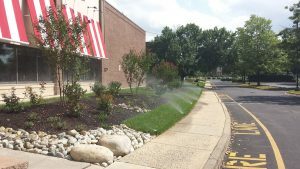 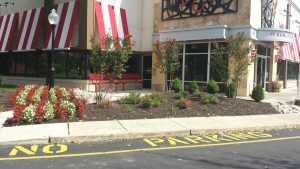 We added interest and color by installing perennials to the landscape beds. 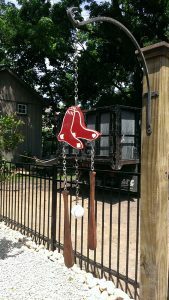 Client wanted a more definitive sense of entry to their driveway. 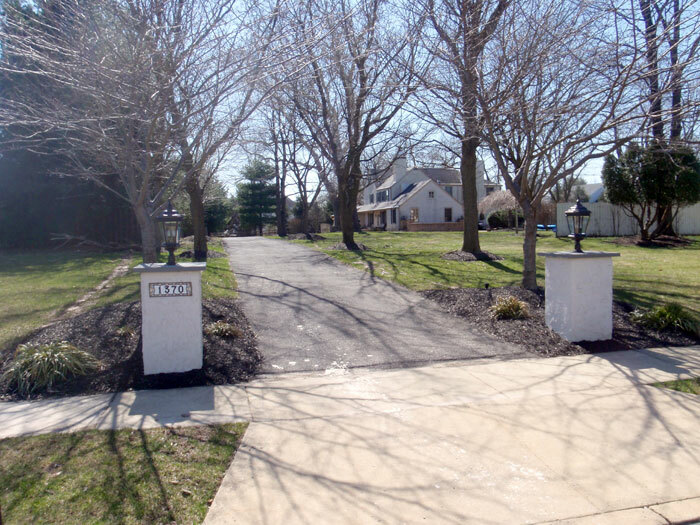 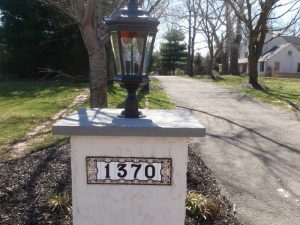 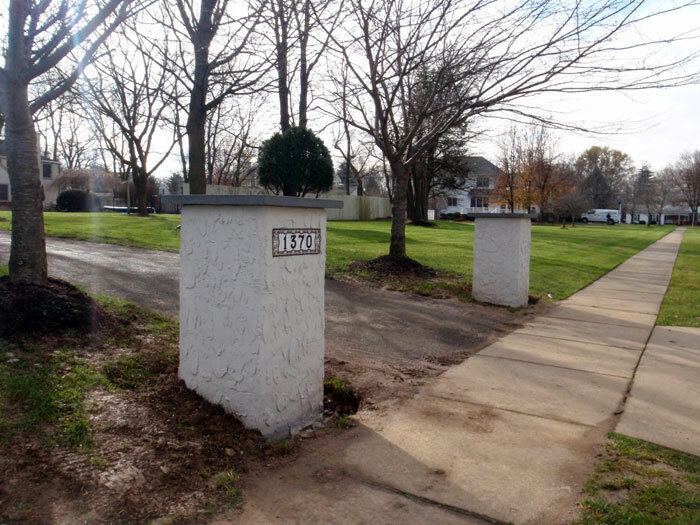 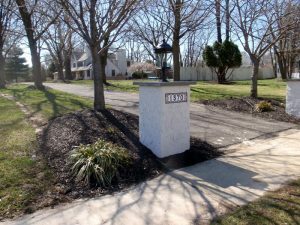 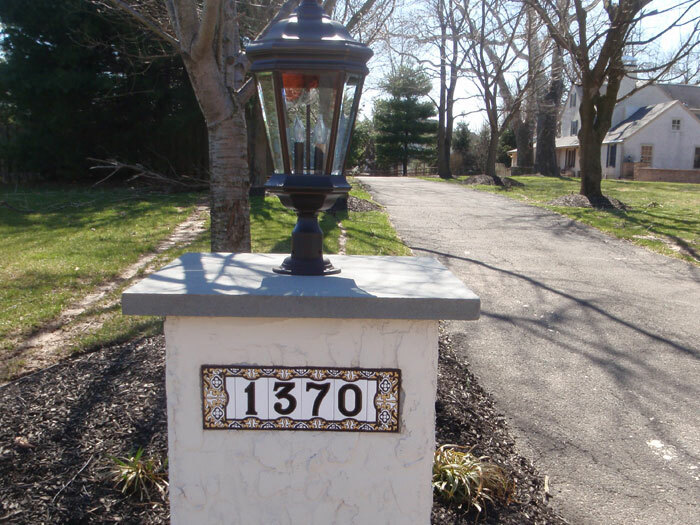 This project included the construction of two stucco driveway piers. 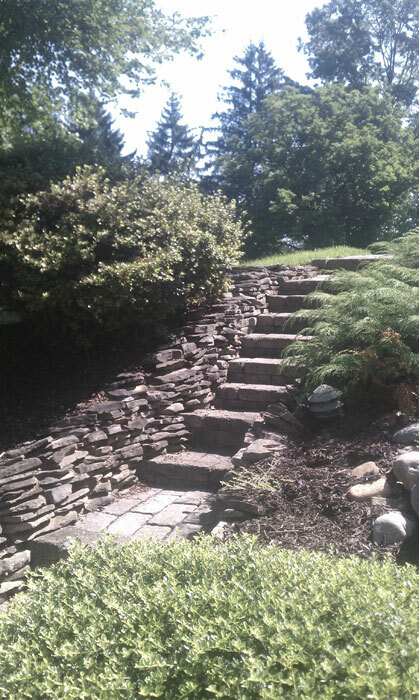 The piers were built on a concrete footing and constructed of cinder blocks. 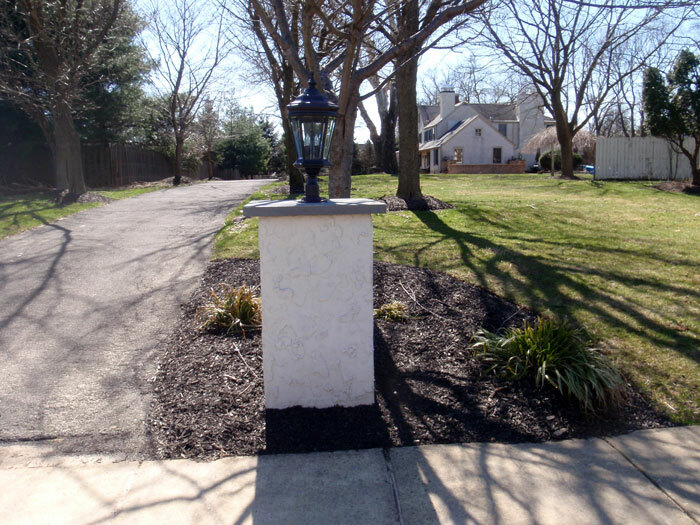 After the block work was completed the piers were given a stucco finish which was then painted to match the house. Each pier was the capped using a piece of thermal bluestone and finally the Landscape lighting was installed for the finished look. 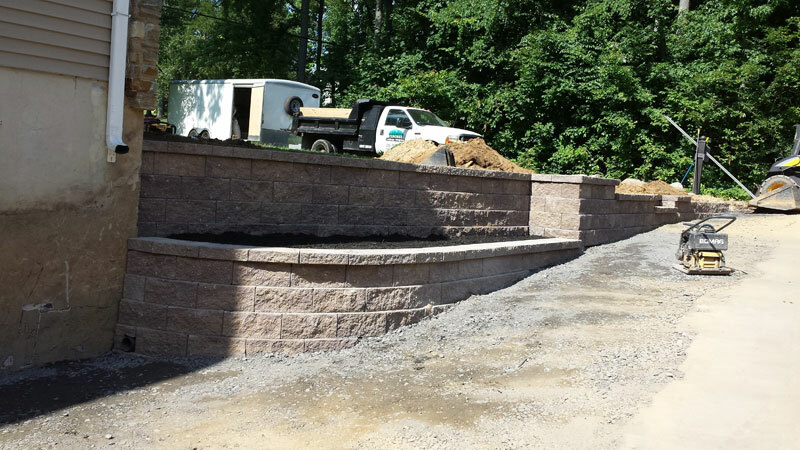 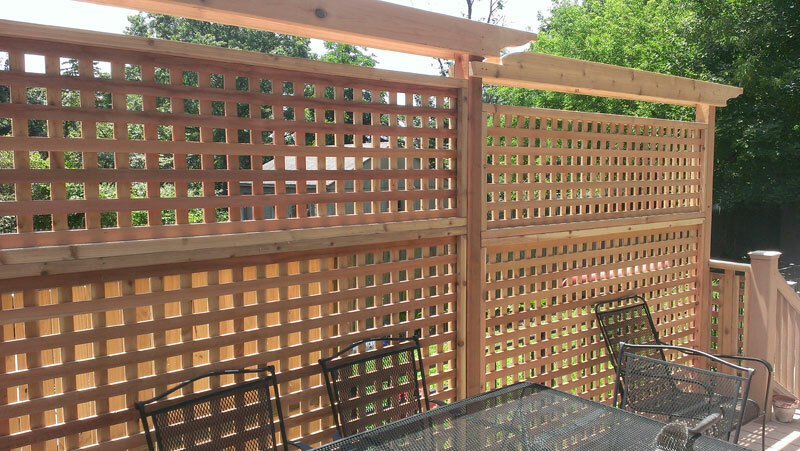 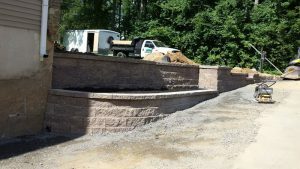 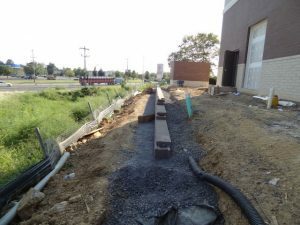 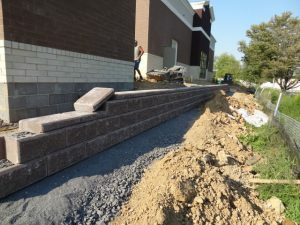 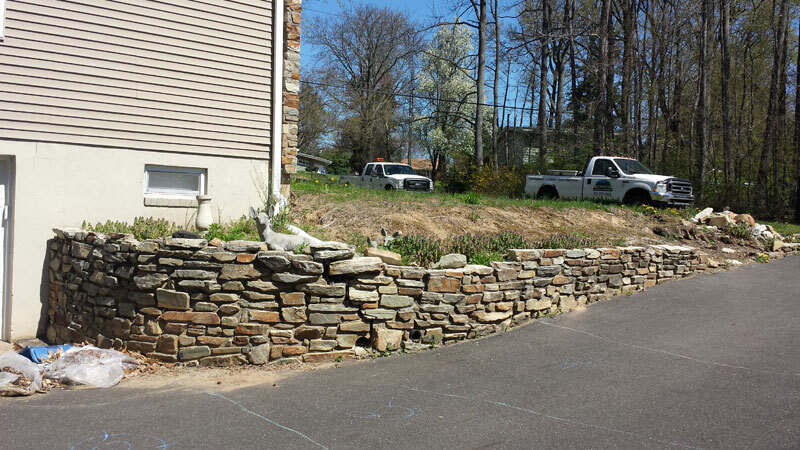 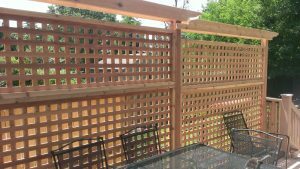 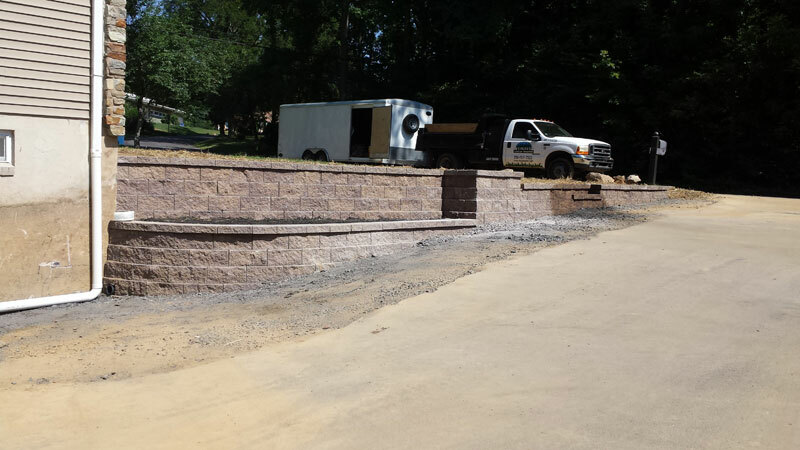 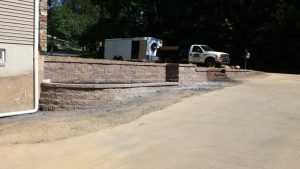 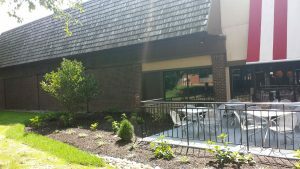 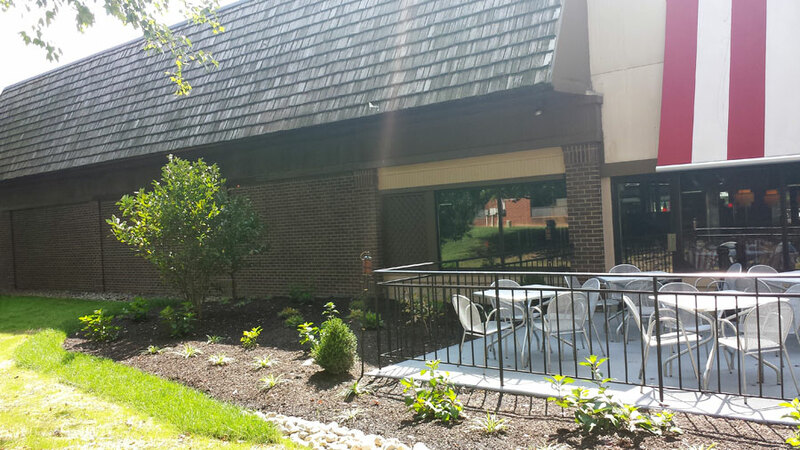 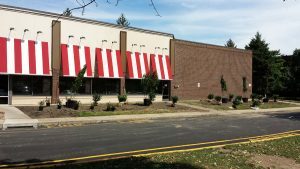 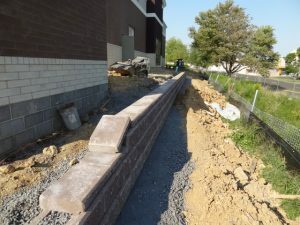 This commercial retaining wall was constructed using the locally made Allan block. 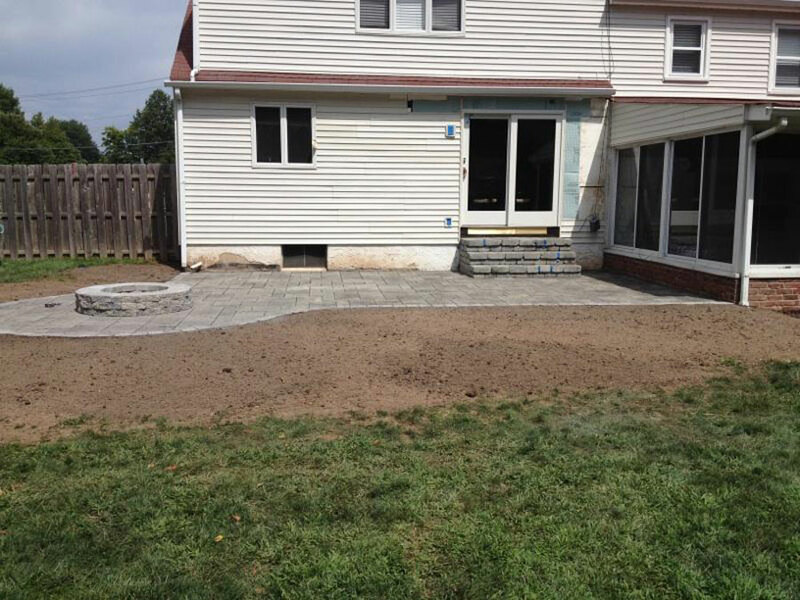 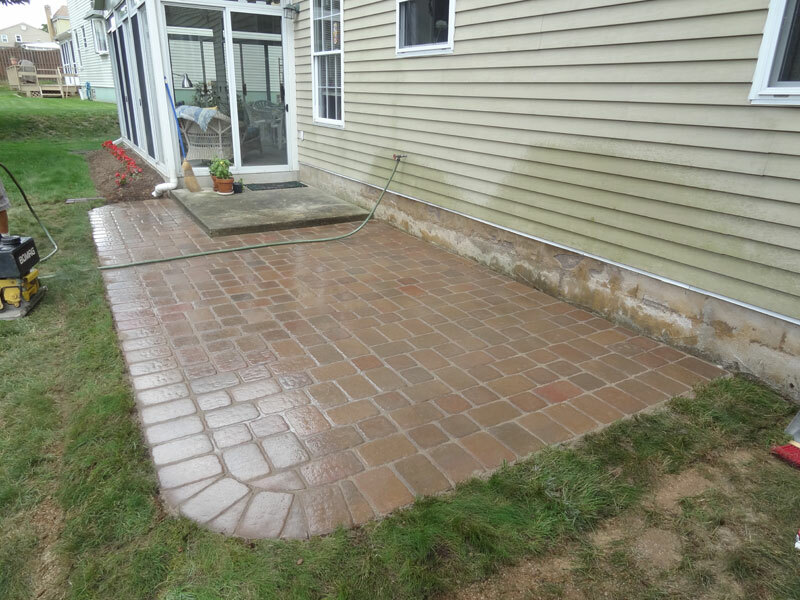 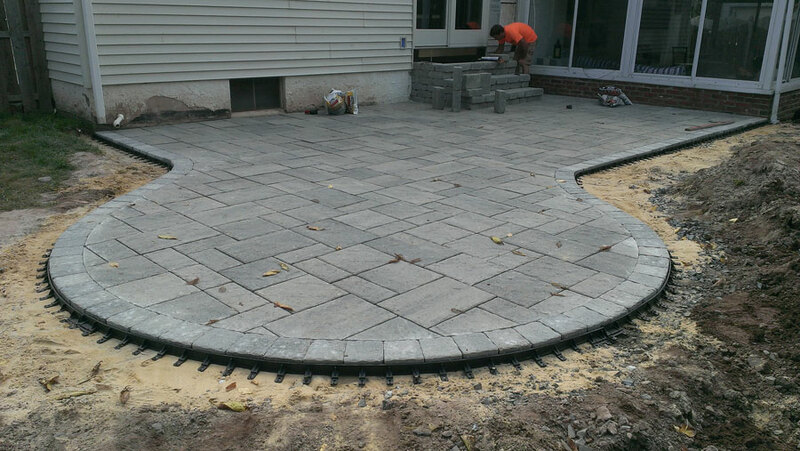 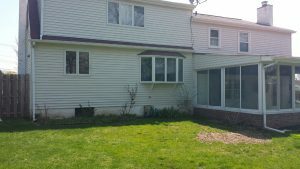 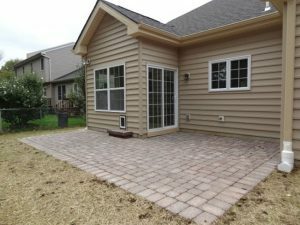 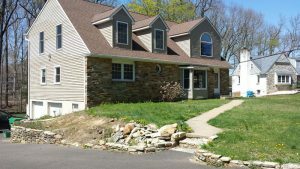 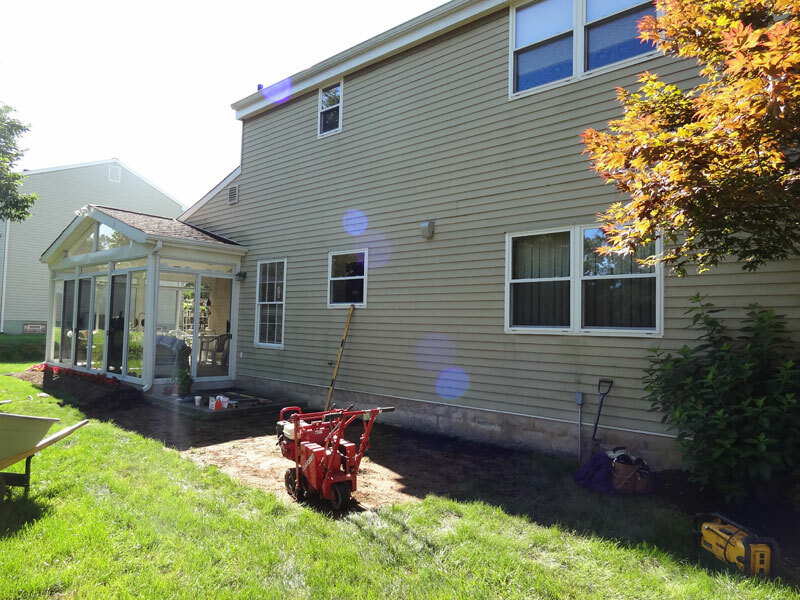 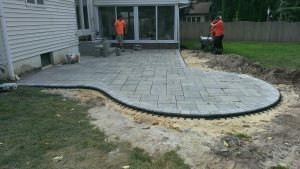 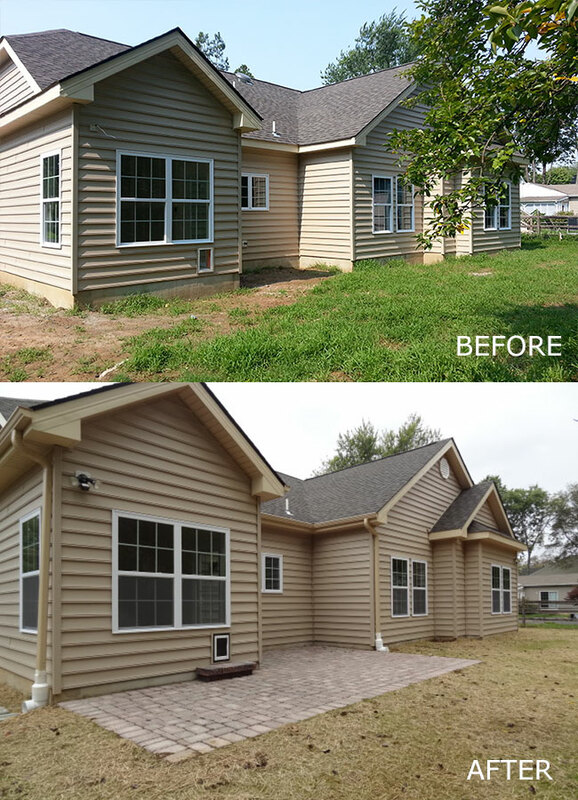 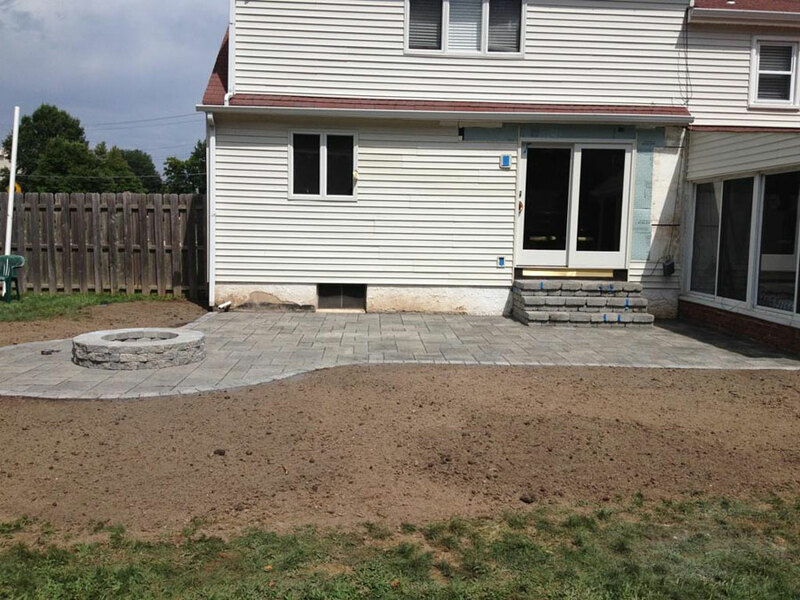 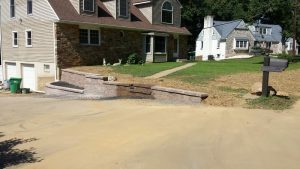 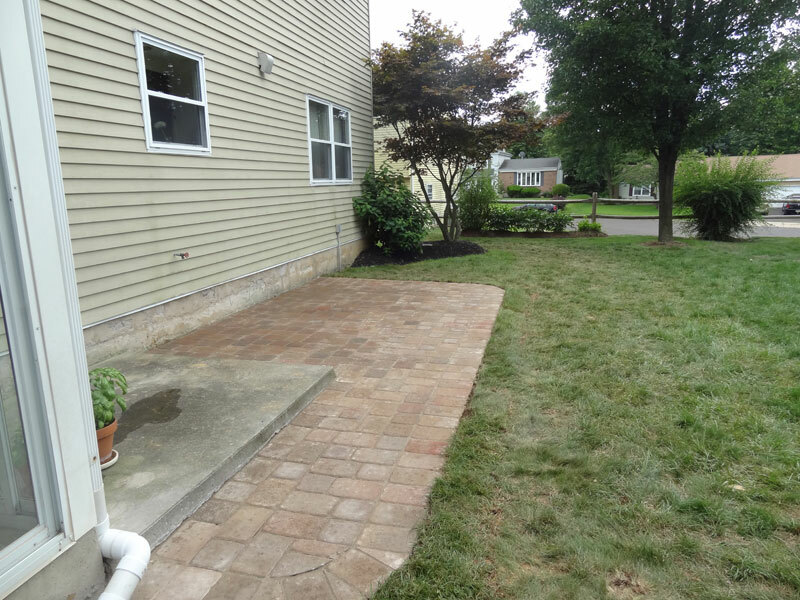 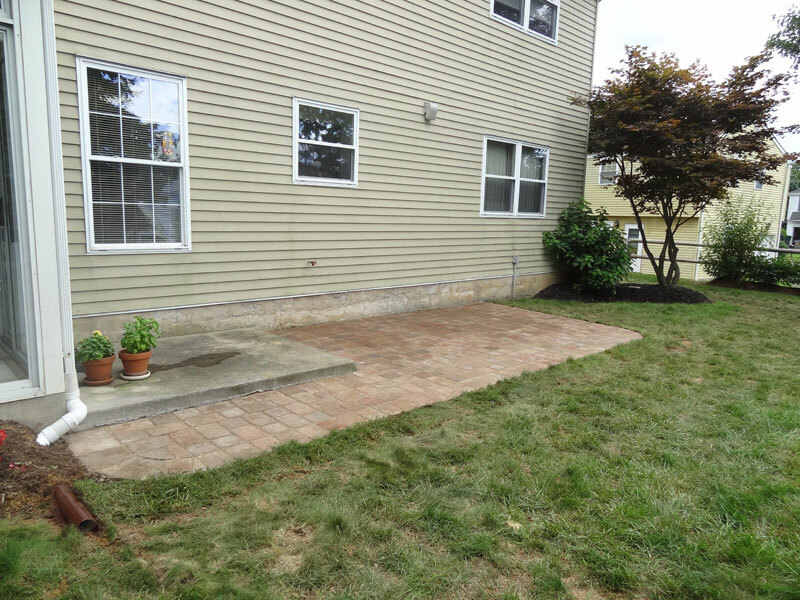 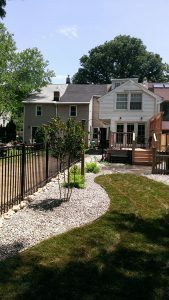 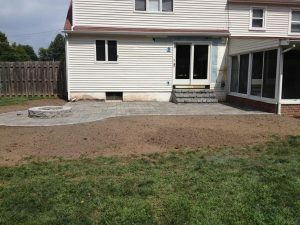 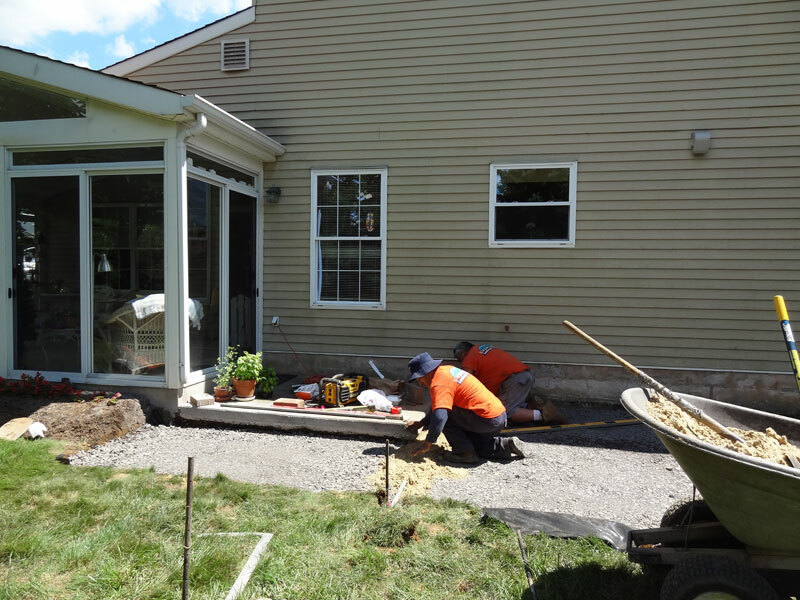 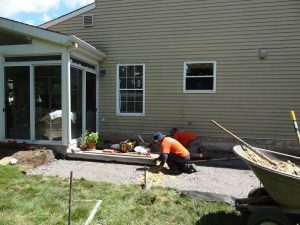 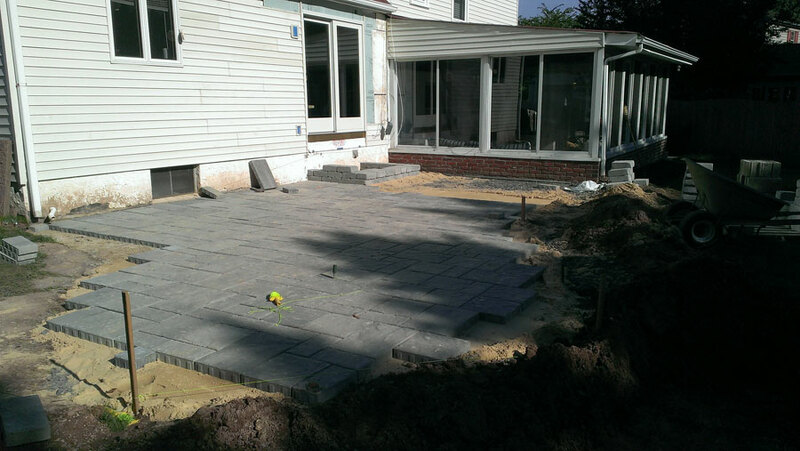 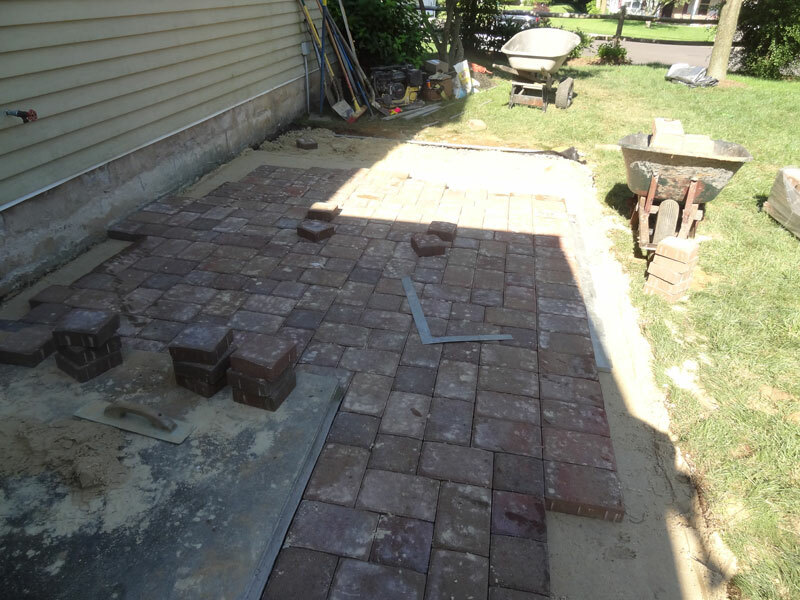 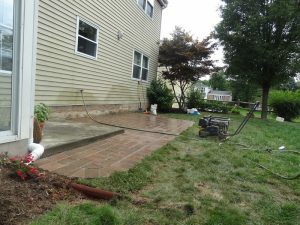 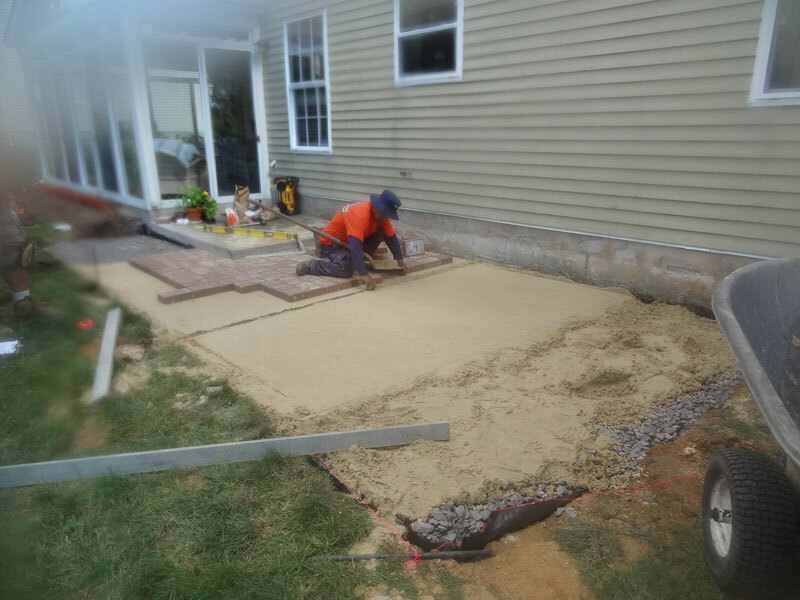 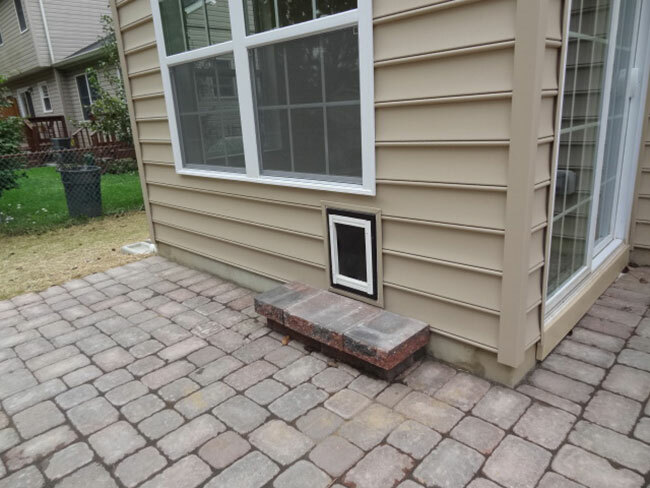 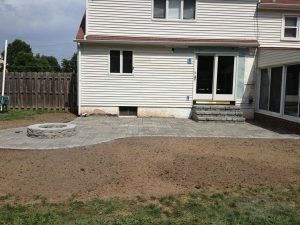 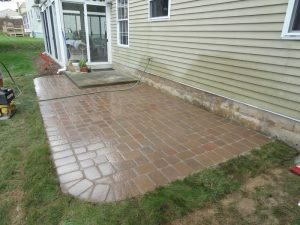 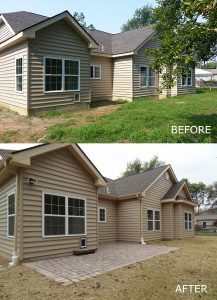 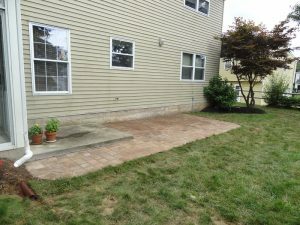 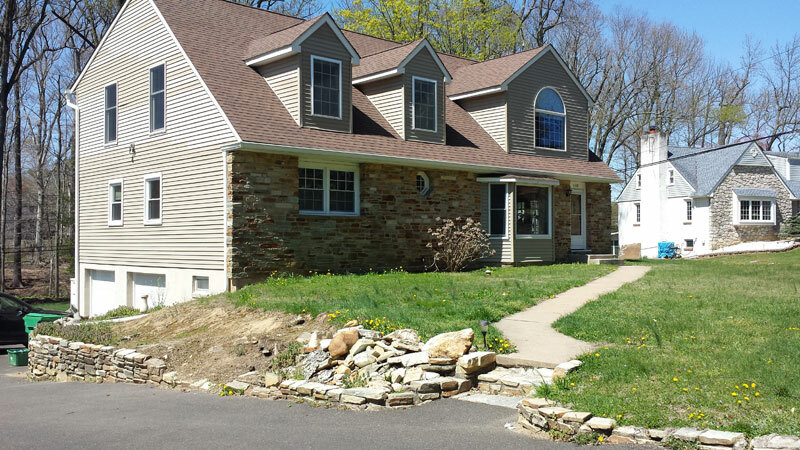 This project was a local business located in the Langhorne PA.
We installed Concrete paver Patio at a newly constructed home in Warrington Pa. 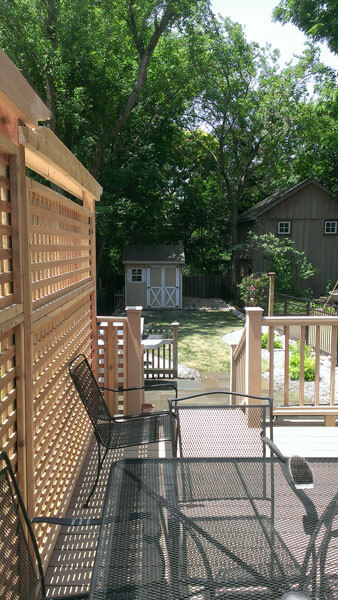 This patio offers an extension of kitchen that allows for outdoor seating and a grilling area. 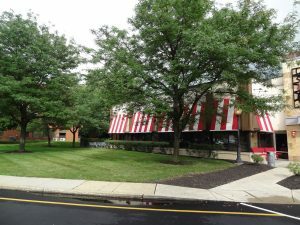 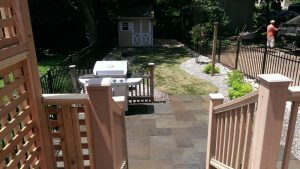 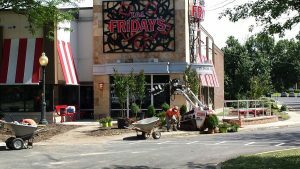 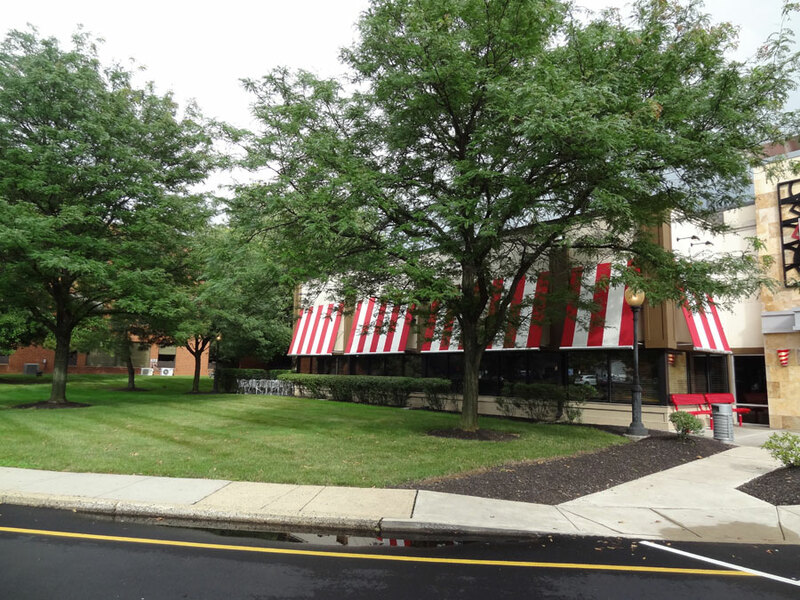 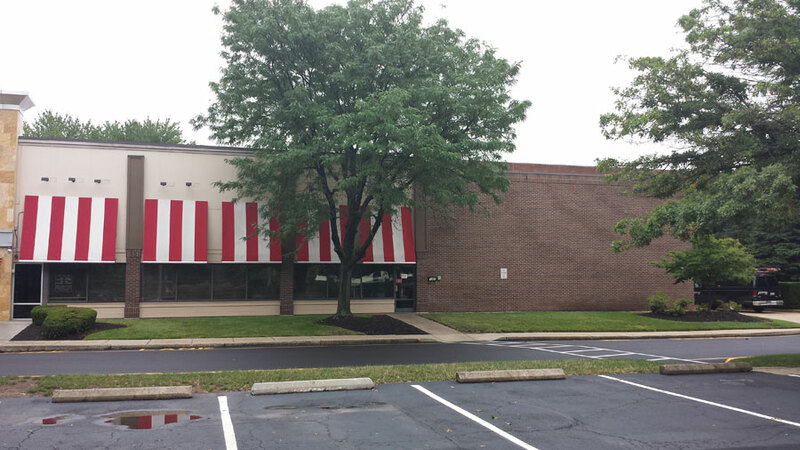 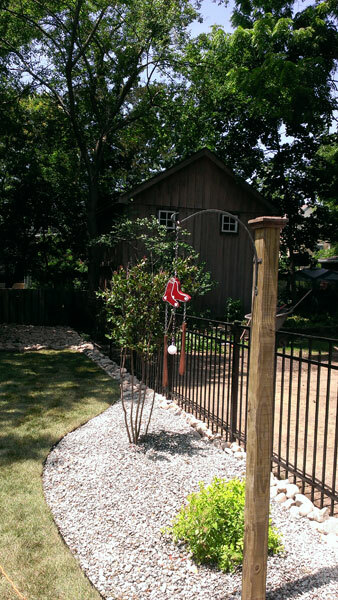 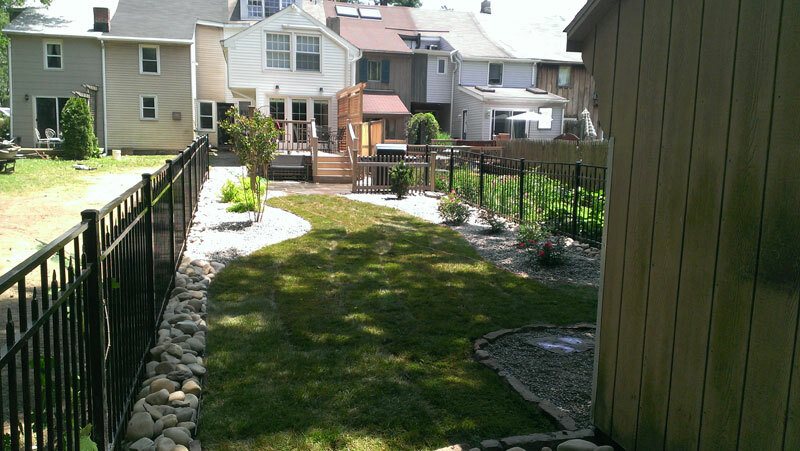 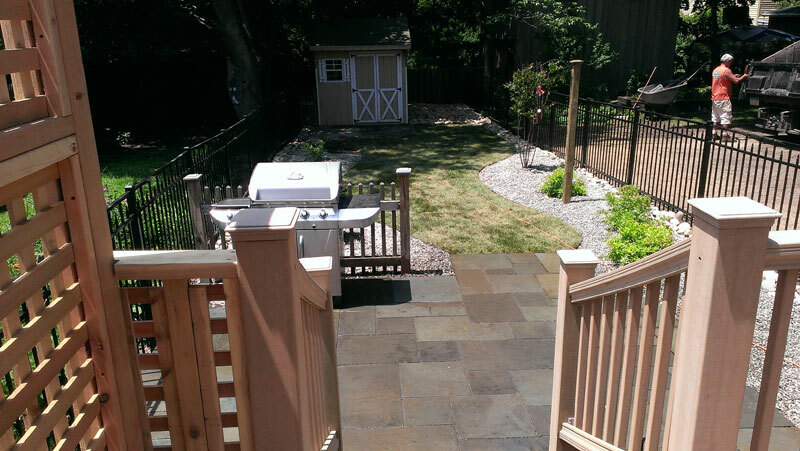 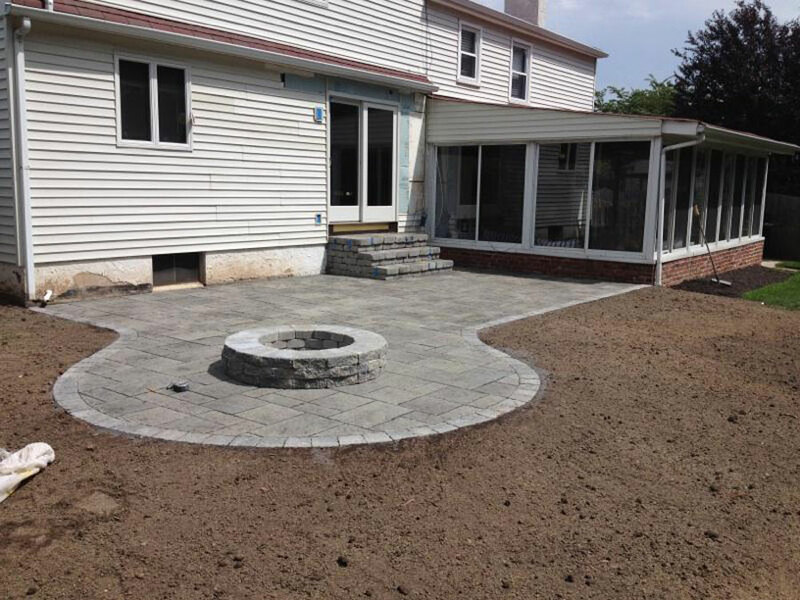 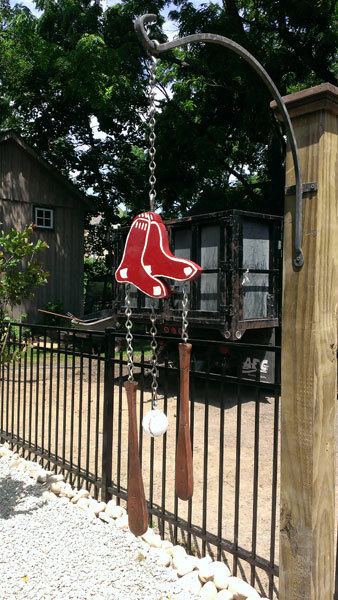 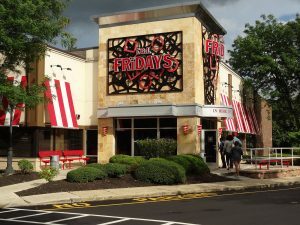 The home owner’s choice of paving material was Techo Bloc Perisen stone in the red flash color. They chose was chosen to that comes with a transferable lifetime guarantee.